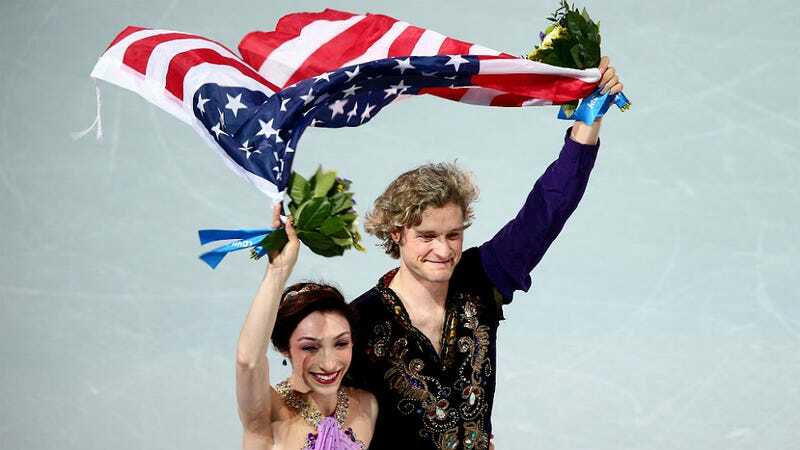 Meryl Davis and Charlie White won the gold medal in ice dancing at the Sochi Olympics on Monday but they assure their fans that they weren’t always so graceful. Davis and White began training in Michigan at 10 and 11 years old, respectively, with White a bit behind, reports the Daily News. But it all came together! And their lovely dancing on ice is even more wonderful when someone sets it to Beyoncé's "Drunk in Love." And skating's not all they do: This morning on the Today Show, Charlie revealed another talent: playing the violin.